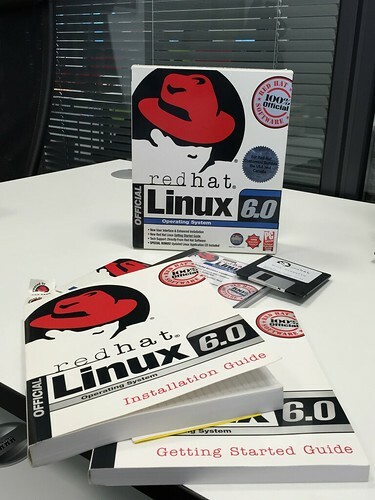 I visited my old desk in Waterford Institute of Technology this morning and found an original Red Hat 6.0 box set distrubtion. That prompted me to send off a 4 tweet history of my Unix/Linux timeline, a potted history in four pictures. I started in Keele in September 1983 and was doing a Foundation Year where I studied Astronomy and Philosphy for a year. I took a Pascal book with me (my mother had it) and learned Pascal from a 3rd year computer student who lived down the hall from me. The following year my main subjects, Computer Science and English, kicked in. However, we were not allowed to use the Unix systems until the final year, as they were a scarce resource. Our tutors however had programmed a version of "vi" to work on the GEAC computers we did use to ease the later migration. When I got onto the Unix machines I had direct Internet/Bitnet access and I was able to download and install my first Open Source components -- you know grab the tar ball, unzip, uncompress, run make configure, and then compile with C -- yep did all that and got onto Usenet and read about Star Trek. Loved Unix from the get go. My first job in Ireland was in Computer Services in University College Galway (UCG) in the early 1990s. I was really into the world wide web, and realised I needed a cheap Unix to be able to run the NCSA server, so I grabbed an old PC and installed SLS (Softlanding Linux System) on it, from multiple floppies fed in in the right order. 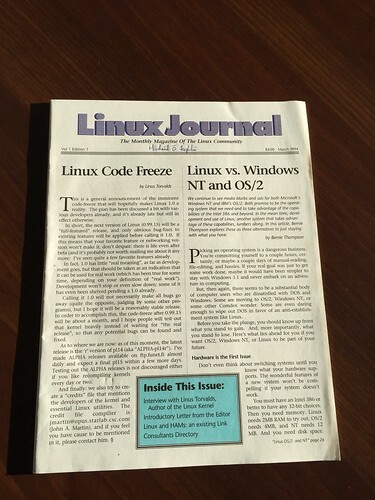 Later I subscribed to some of the CD distribution sites (including Ygdrassil and later Walnut Creek), and to the Linux Journal (picture of my first edition above). Initially I ran a personal website, http://realt.ucg.ie on my personal Linux box. Eventually I got an official DEC Ultrix-based web server running as the official UCG website http://www.ucg.ie. UCG is now called "NUI Galway" (National University of Ireland, Galway). When I arrived in Waterford Regional Technical College (WRTC), very soon renamed to Waterford Institute of Technology (WIT), in September 1996 I wanted to let the students learning HTML to be able to actually publish to a real website. I managed to get an old PC and got SuSE linux installed on it. This became http://emhain.wit.ie, the machine that was used for the next 10 years for final year computing projects for Perl CGI and other things. 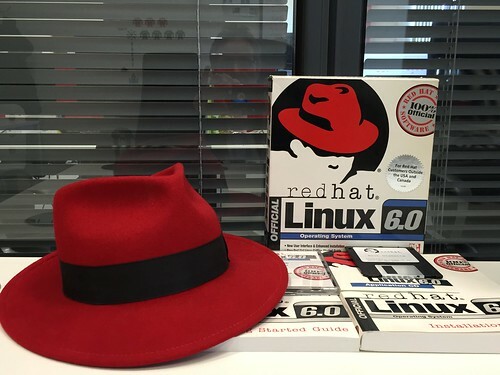 However, I was also keen on the alternative distributions and I had this edition of Red Hat 6.0 that I experimented with in my office. So, like many computing professionals, I've spent my whole life in a Unix/Linux world. I really loved it from the start, and I still do. 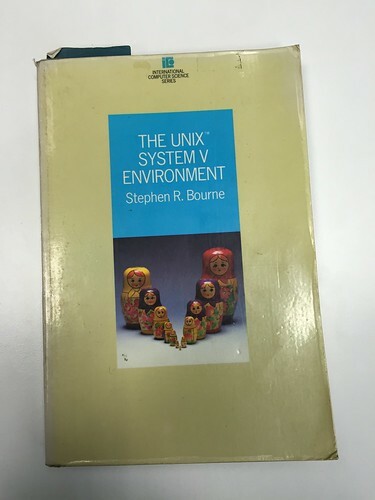 I think that having Unix systems administration experience helps inform many critical decisions in enginerring and product, potentially pre-figuring the recent trend towards a DevOps culture -- I'm there, and I think it's great. BTW I do use a Mac Book Pro but I have many Linux VMs on it and in the cloud (DigitalOcean being my current favourite hosting place for experimentation).